* This is not investment advice, just a piece of envy from one small business owner who is both in awe of such talent and a tinge jealous success has come so relatively quickly for the founders. 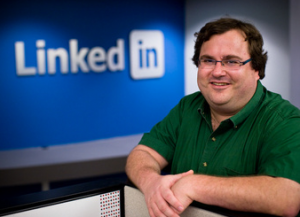 The trio of investors in LinkedIn as well as the CEO Jeff Weiner and founder Reid Hoffman are holding on to their shares of LinkedIn even after the IPO set for Thursday. Does that mean the smart, insider money sees something bigger than a $4B valuation? Check out the WSJ deal post on LinkedIn investors holding onto their shares. One of my favorite top 10 rules of entrepreneurship are also from their founder Reid Hoffman. Reid was also one of the founders of Paypal.